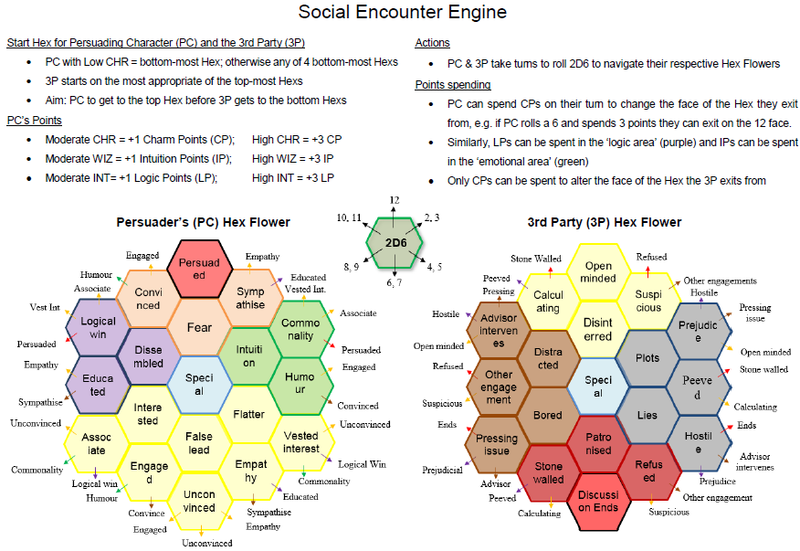 To ensure the ‘engines’ are not purely random, there are points associated with CHR (Charm Points), INT (Logic Points) and WIZ (Inutution Points), that can be spent by the PC to influence the social encounter. The engine presupposes that the person being persuaded needs persuading! More applications of this idea can be found here.